Switch between HEX, RGBa, HEX8, HSL, and UIColor color formats. How to change color code format? You can switch between different color codes (depending on the platform you are building your project for). 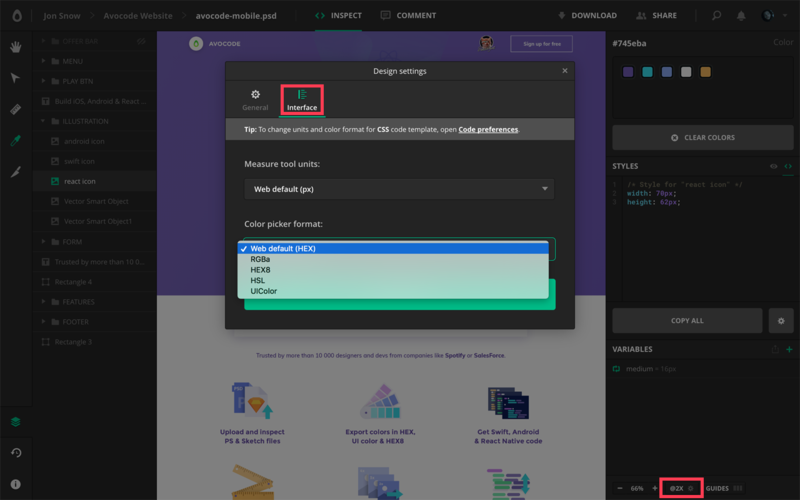 Go to Design Settings by clicking on the cog wheel in the bottom left corner in the Design View, then switch to Interface, click on Color picker format and select between HEX, RGBa, HEX8, HSL, and UIColor.